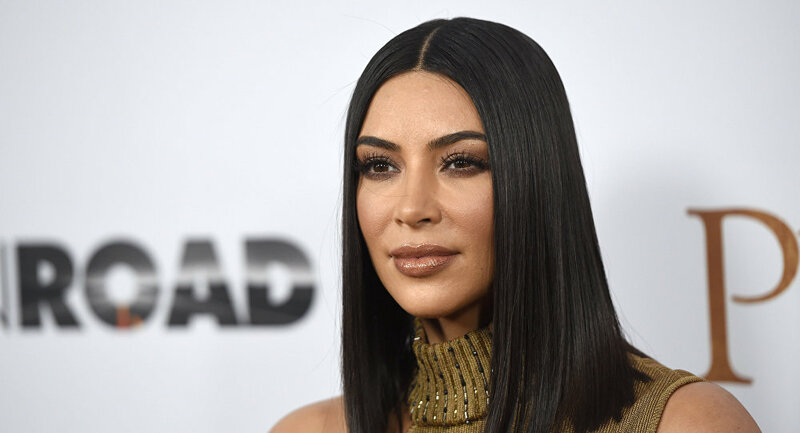 Reality TV star Kim Kardashian West visited the White House Wednesday for a meeting with senior adviser Jared Kushner and US President Donald Trump about prison reform. According to Vanity Fair, Kardashian West and her attorney met with Kushner first to discuss prison reform before sitting down with Trump to discuss pardoning Alice Marie Johnson, a 62-year-old great-grandmother serving a life sentence without parole for a first-time drug offense. Moments after the meeting, Trump tweeted out a picture with Kardashian West. ​Kardashian West came across Johnson's story in 2017 after watching a video produced by website Mic that discussed the case. Johnson, who was imprisoned for her involvement in a drug conspiracy, has served more than 21 years of her life sentence. In a piece written for CNN, Johnson stated that she'd gotten "involved with people selling drugs" after she found herself jobless and dealing with the death of her youngest child. According to Johnson she acted as a "telephone mule" by passing messages between distributors and sellers. "When I see a story like hers and I go back to maybe decisions we've all made that probably — maybe not at that caliber, but if you think about a decision that you've made in your life and you get life without the possibility of parole for your first-time nonviolent offense, there's just something so wrong with that," Kardashian West told Mic in an exclusive May interview. She added that, if given the chance to speak with Trump, she'd "explain that just like everybody else, we can make choices in our lives that we're not proud of and that we don't think through all the way." After watching the video, Kardashian West reached out to the president's daughter, Ivanka Trump, who in turn linked the reality star with her husband, Kushner, who has been on the side of prison reform ever since his own father, Charles, spent more than a year in a federal prison on charges of tax evasion, illegal campaign contributions and witness tampering, Variety reported. During his time as Trump's adviser, Kushner has also pushed Congress to support the First Step Act, legislation that aims to help inmates re-enter society. The act has yet to be greenlit by Congress. Though little information has been released about the meeting, Variety indicated that the 37-year-old Los Angeles native is expected to dine with Kushner and Ivanka after the presidential sit-down. Kardashian West's attempt to convince Trump to pardon Johnson comes days after POTUS did the same for legendary boxer Jack Johnson. After meeting with the likes of Sylvester Stallone, Lennox Lewis and Deontay Wilder to discuss the matter on Thursday, Trump released a statement saying he was pleased to "correct a wrong that occured in our history." Johnson was convicted in 1913 of violating the Mann Act, which made it illegal to take a woman across state lines for immoral purposes. It is widely believed that Johnson's conviction was more about his relationship with a white woman who later became his wife than actually committing a crime. The boxer served a year in prison.